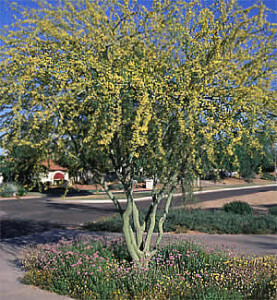 Green spoon is an excellent accent plant that blends well with many other desert shrubs and ground covers. 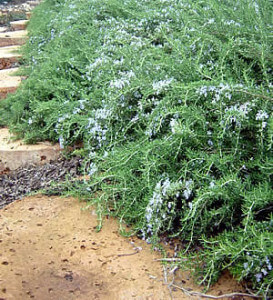 It can be used in all zones of a landscape, looking right at home in the mini-oasis as well as the dry zone. This plant closely resembles Dasylirion wheeleri, but is lighter green and grows faster. 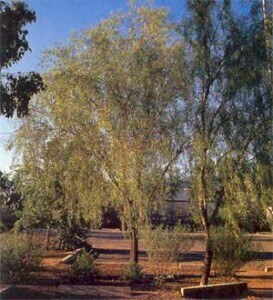 Green spoon develops a short, thick trunk while reaching a mature size of 6' tall by 5' wide. The leaves terminate in a wisp of fibers. Creamy white flowers appear in a showy plume that grows to 10 feet tall. Plant green spoon in the fall or early spring in full sun or partial shade in the low zones. 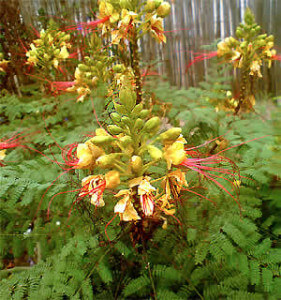 Plant it in any fast draining soil, from well-drained, fertile soil to rocky, native soil. Give green spoon plenty of room, as the spiny leaf margins are sharp. Water immediately following planting. Water every four days for the first month. 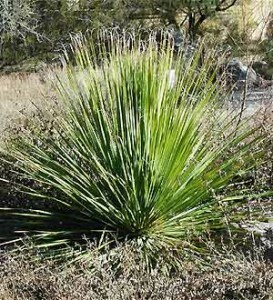 This accent plant tolerates reflected heat and requires little water once established. Green spoon will grow slightly faster with supplemental irrigation in the summer.